Animal Pros of Greater Bowling Green is your best solution for animal and wildlife removal and bird control solutions in Southern Kentucky. We offer professional proven techniques that are safe for your family, pets, home, or business. Our humane and permanent solutions are the preferred choice for homeowners, businesses, property managers, and government. Animal Pros offers complete wildlife removal solutions for birds, bats, beaver, coyotes, rodents, raccoons, skunks, snakes, squirrels, dead animals, opossums, fox, groundhogs, and more. Our comprehensive wildlife solutions can help whether you have a raccoon in the attic, a bat in the interior of your home, are in need of rodent control, or have birds creating a health and safety issue for your business. Animal Pros is a local company offering full service solutions for human – wildlife conflicts in Southern Kentucky area wide. We cover the entire Bowling Green and Southern Kentucky areas. We offer prompt same day service and are the best solution for all your wildlife needs. 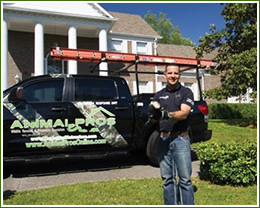 Animal Pros specialists are multi state certified, fully licensed and insured, carry three times the amount of liability insurance, and carry workers compensation. Rest assured while on the job, our specialists are protected. Thousands of residential and commercial clients trust Animal Pros, and so should you. Call us today and allow us to put our knowledge and expertise to work for you. We ensure proper handling of wildlife and animal removal, and will make it a priority to remove captured animals immediately, for the safety of the animal. Once all animals are removed, we can repair openings or damage caused by the animals, so they do not return. We provide wildlife services to Warren County, Allen County, Simpson County, Logan County, Todd County, Muhlenburg County, Butler County, Greyson County, Hart County, Edmonson County, Barren County, Monroe County, Cumberland County, Metcalfe County, Adair County, Green County, and more in Southern Kentucky. Some of the cities around Bowling Green and Southern Kentucky that we service are: Bowling Green, Scottsville, Russellville, Franklin, Elkton, Tompkinsville, Morgantown, Brownsville, Glasgow, Munfordville, Edmonton, Burkesville, Greensburg, Campbellsville, and Letchfield, Kentucky. Animal Pros staff of professional animal and wildlife removal experts provide a visual inspection of your home or property including animal causing the problem, openings, damage, chewed wires, insulation, duct lines, attic and crawlspace access, and any other problem area or damage caused by the animal. You will be provided a personalized inspection report detailing all of Animal Pros findings, and provided recommendations on how we can offer a permanent solution for your animal problem. Our animal and wildlife removal step-by-step solutions will effectively solve animal problems permanently. Guaranteed work, with a warranty to count on. Animal Pros of Bowling Green and Southern Kentucky offers humane, safe, and effective trapping services for residential and commercial clients throughout greater Paducah area wide. Whether you have small or large trapping needs, Animal Pros specialists can handle the job. We offer comprehensive solutions from coyote control to rodent control services that cater to all homeowners, businesses, and municipalities. Our trapping services utilize the most up-to-date equipment and techniques that deliver desired results. From spray proof skunk traps to humane and effective coyote traps, we have the professional equipment to solve your problem. Are you having trouble catching a raccoon, or is a raccoon stealing bait from your traps? We utilize traps raccoons can not reach through. Contact a Animal Pros specialist today for same day, effective service, or for experienced help information. Wildlife problems are on the rise in residential neighborhoods around Bowling Green due to continual development into areas where wildlife once inhabited. With the increase in human – wildlife problems, Animal Control services no longer provide animal removal service for homeowners. Wildlife assistence is available through private companies like Animal Pros. 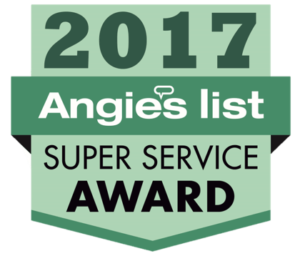 We are state certified, highly trained, and offer professional advice for wildlife and animal pest problems to homeowners, businesses, and municipalities. For professional animal control services in Bowling Green, Kentucky, contact Animal Pros. Avoiding wildlife problems around the Bowling Green, Kentucky area can be done following suggestions to protect your yard and property. Thumps under your home, scratching in the walls, animals running across your roof, are all a sign of a wildlife intrusion. Professional help is required in most cases removing wildlife. Here are some helpful tips homeowners can take to avoid wildlife problems. Avoid Feeding Wildlife – This includes squirrel and bird feeders. Secure openings around decks or sheds. Keep yard debris maintained and down to a minimum. Ensure there are no openings around your home. Periodically check for animal activity. Keep trees and shrubs away from the roofline of your home. If you notice activity, call Animal Pros for a wildlife inspection. Problems can be avoided the earlier they are diagnosed.